Serena Williams is arguably the best athlete in the world–a tennis pro, a powerhouse, a force to be reckoned with, a living legend, and the epitome of a black girl rocking. You know all of these things. 1.Philanthropist. Did you know that there is an umbrella deemed the Serena Williams Fund? Well, there is. Under this umbrella, Serena currently works with Build Schools Africa, where she partners with Hewlett Packard to build secondary schools in Kenya; The Caliber Foundation, where she offers support to victims, families, and communities that have been affected by gun violence; UNICEF, where she was appointed Goodwill Ambassador in 2011; and the Beyond the Boroughs National Scholarship Fund, where she provides scholarships for students looking to attend college. 2.Speaker. If you need a little motivation, who better to give it to you than the world’s greatest athlete? Represented by WME-IMG Speakers, Williams talks candidly about dedication, risk-taking, winning, success, the importance of giving back, and entrepreneurship. 3.Boss. In 2009, Serena and sister Venus became minority owners of the NFL’s Miami Dolphins. This venture led them to become the first African Americans to hold ownership in an NFL franchise. 4.Fashionista. Did you know that Serena Williams has a clothing line exclusively on HSN? Now you do. Williams designs and sells comfortable, fashionable pieces, which debuted at New York Fashion Week and are now available for purchase. 5.Certified Nail Tech. Yes, you read right. Serena Williams can give you those stiletto nails you desire, if you ask nicely. Years ago, Williams enrolled in a 240-hour class after which, she received her nail tech certification. She simply loved getting her nails done, so she wanted to learn how to do it herself–and now she has. 6.Author. 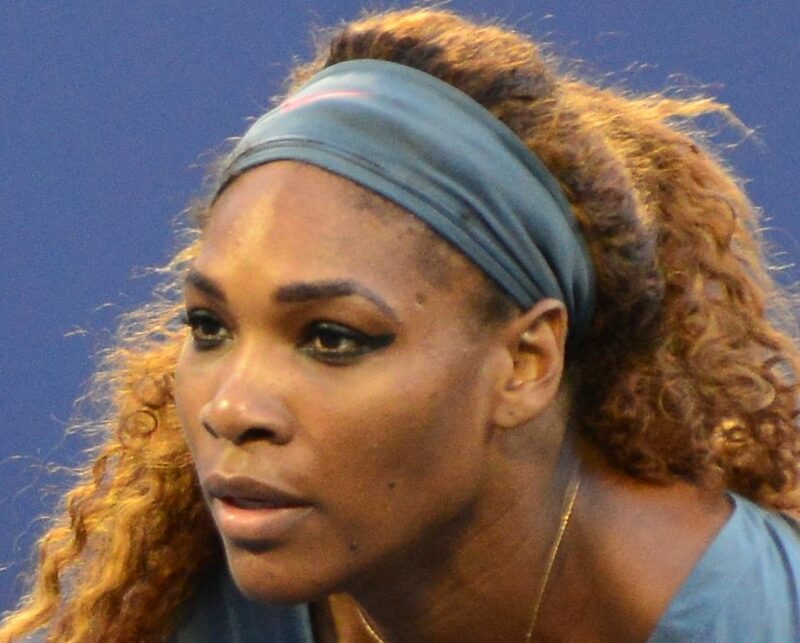 To date, Serena has penned several books including My Life: Queen of the Court (Simon & Schuster; $9.98), On the Line (Grand Central Publishing; $31.95), Venus and Serena: Serving From the Hip: 10 Rules for Living, Loving, and Winning (HMH Books for Young Readers; $5.12), and How to Play Tennis (DK CHILDREN; $22.12), co-authored by sister, Venus. 7.Dancer. Did you see Beyonce’s “Lemonade” video? Oh, ok. If you thought she was bad before, I can’t even imagine what you’re thinking now.